World Ocean Journal: What Do You Think? 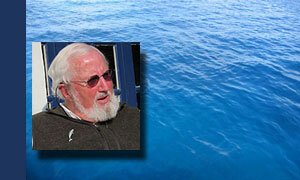 Have you had the opportunity to read the inaugural volume of World Ocean Journal? If so, we'd appreciate your feedback! This brief survey will take less than five minutes to complete. Your answers will help us to create the best magazine we can, and we appreciate your willingness to be a part of the creative process. If you would like to review WOJ before continuing with this survey, please visit http://ow.ly/u2i1C. 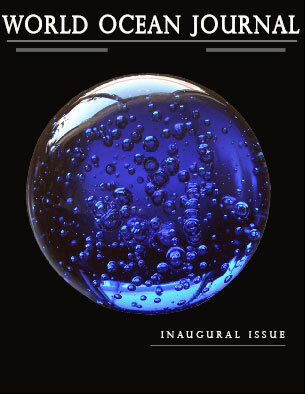 In January of 2014 the World Ocean Observatory launched the first volume of World Ocean Journal, a new bi-annual e-magazine on ocean culture and solutions to today's ocean issues. This inaugural volume featured essays, interviews, art, exhibits and performances, profiling some of the vital impacts of the ocean on our lives. There was an introduction to Lincoln Paine's extraordinary new book, The Sea & Civilization, a one-volume maritime history of the world, just released by Knopf and sure to be one of the most important publications of its kind in 2014. 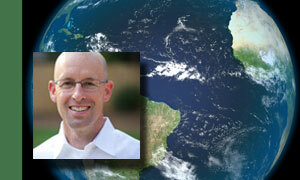 We included a video interview with Dr. Darron Collins, President of the College of the Atlantic in Bar Harbor, Maine. 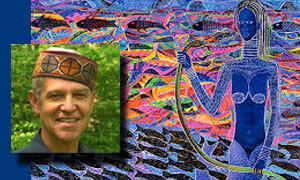 In this 26-minute interview he talks about the synergistic relationship between the ocean and human ecology and shares his views on the inter-relationship between social conduct and the sustainability of Nature, paying particular attention to new interdisciplinary alternatives, economic practices, and individual and collective behaviors. 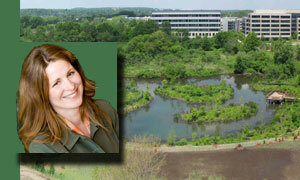 And we sat down with Wendi Goldsmith, founder and CEO of the Bioengineering Group, for a conversation about new engineering practices, ecological design, and innovative restoration projects in coastal wetlands, municipal parks, and inland waterways. We also highlighted the compelling, colorful, and gorgeous artistic representations of Mami Wata, an African goddess of the sea, as curated by Dr. Henry John Drewal. This sea spirit has found her way into the material and religious culture of Africa and the African diaspora. 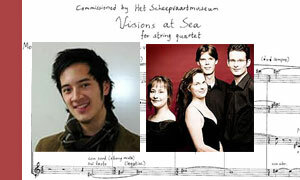 We shared a video of the Rubens Quartet performing "Visions at Sea", composed by Joey Roukens. This moving and inspirational piece of music was commissioned for the re-opening of the Het Scheepvaartemuseum in Amsterdam, the National Maritime Museum of the Netherlands. You'll hear a plea for international consideration of the impacts of climate change and sea level rise on small island nations by Ronnie Jumeau, Seychelles Ambassador to the United Nations and United States, excerpted from a video interview at the Climate Summit in Copenhagen in 2009. Produced by the World Ocean Observatory and Compass Light Productions. And finally you'll read an essay by World Ocean Observatory Director Peter Neill, who shares his own reflections on “reciprocity” as a rationale and framework for exchange of value and engagement between the ocean and us, between civil society and the natural world that sustains it. 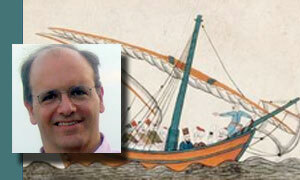 This essay was first heard on World Ocean Radio on 2013. Do You Have Time to Participate in a Brief Survey? 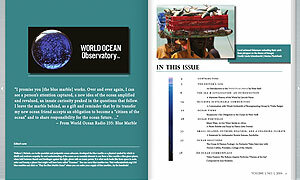 We appreciate your interest in WORLD OCEAN OBSERVATORY and our new bi-annual magazine, WORLD OCEAN JOURNAL. If you have five minutes, won't you take this brief survey? Thank you for your feedback and willingness to be a part of the creative process for this new endeavor. If you would like to review WOJ before continuing with this survey, please visit http://ow.ly/u2i1C. Copyright © 2014 World Ocean Observatory, All rights reserved.